Did you know that the wind power industry employs over 100,000 US workers across all 50 states and Puerto Rico? Wind energy is also the largest source of renewable generating capacity in America; tripling over the last decade. 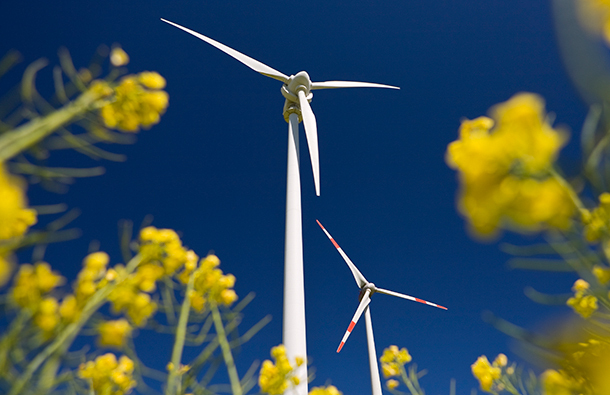 Check out these less commonly known facts about wind power! The power sector withdraws more water than any sector in the US, including agriculture. However, clean energy sources, like wind, actually help conserve water by generating energy by offsetting the amount of power we use from energy sources that consume a lot of water, like natural gas, coal, and nuclear power. With a growing global population, even the U.S. is seeing that access to water could become more of a problem, so using water wisely is a priority. Wind energy is safer and more eco-friendly than fossil fuels. According to the Audubon Society, fossil fuels use threatens the existence of nearly half of the 314 species of birds native to North America. Meanwhile, wind turbines are responsible for less than 0.1 percent of bird deaths; much less than cell towers, objects like windows, and domestic cats. Researchers are working to find ways to decrease the number of wildlife deaths by finding locations for wind farms outside of the migratory paths of birds and to discourage them from flying too close. The wind power industry employs over 100,000 US workers across all 50 states and Puerto Rico. The wind industry benefits local economies directly by adding jobs in construction, engineering, transportation, manufacturing, and operations. On top of that, wind development brings additional income to land owners from land leases and provides tax revenues to their communities—which are often used to enhance school systems and infrastructure. If this blog has made you excited about wind power, share it with your friends! The more we know about the benefits of wind power, the more people will adopt it and create a cleaner future together. Here at CleanChoice Energy, we're a renewable energy company with a mission to make clean energy accessible to everyone. Learn more how you can switch your home or business to 100% pollution-free clean energy sourced from wind or solar power today!